Hi! I’m Carmen and I want to help you and your family live healthier thru the use of natural solutions and recipes that support your family’s health and wellness. 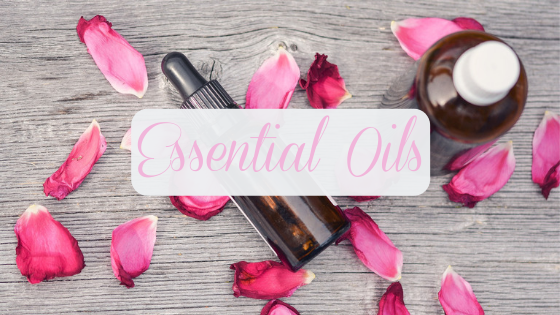 For those of you who have been following me for a while you know that I am an avid essential oil user – and that I use essential oils in everything from cleaning, soothing to cooking! And I always have a suggestion for an oil to support and enhance whatever it is you are working with. 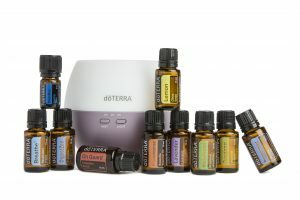 When I was first introduced to essential oils I thought they smelled nice, but that is about all the use I thought they had. I did not realize the myriad of benefits they had for physical, emotional and energetic supports. Essential oils are amazing things and can be used in all areas of your life – from cleaning, to weight loss and digestive support, homemade products, in cooking, relaxation and more! I think the thing I love the most is that I am using a 100% pure natural product, reducing our toxic load and the amount of chemicals in our home. Essential oils are the most powerful part of a plant. They are naturally occurring volatile compounds from seeds, shrubs, flowers, trees, roots, bushes, fruit, rinds, resins and herbs. 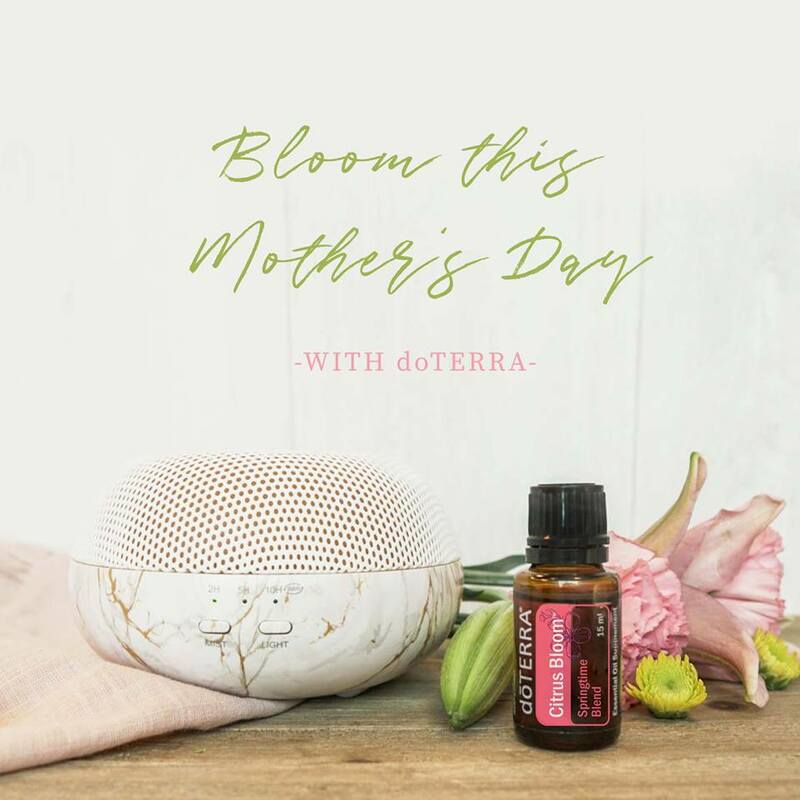 Many people call essential oils the lifeblood of plants because they carry oxygen and nutrients within the plant and are part of the regenerative process of the plant. Essential oils give plants their distinctive smells, protect plants and play a role in plant pollination. They consist of over 100 different natural, organic compounds. There are many different kinds of essential oils out there, and they all have different properties and uses. From well-known plants like Lavender and Oregano to unusual and exotic ones like Litsea and Yuzu, there’s an unfathomably huge range to choose from – and they each provide many different benefits and uses. One thing that is very important to be aware of when using and selecting essential oils is that not all essential oil brands are created equally. Currently there is no regulation on the production and processing of essential oils and some companies do use synthetics and fillers in their oils. Even though a brand may say 100% pure on the bottle, it may in fact be not. This is why I always recommend that when purchasing essential oils you do your due diligence and research the brand to ensure that it is a brand that is truly producing 100% pure essential oils and that they are using ethical and sustainable practices. This why I choose to use doTERRA essential oils as they are 100% pure certified therapeutic grade. 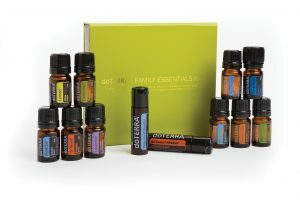 Their mission is to produce the highest quality essential oils in the world and to have these oils available to every home. 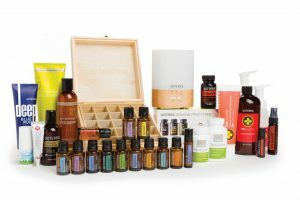 They are the world leader in sourcing, testing, manufacturing essential oils and are the only company that does third party testing. Their impact on the planet is very important to them which is why they use sustainable harvesting practices, work directly with their producers to ensure fair and equitable wages as well as giving back to those communities through various community projects that will enhance the community’s way of living. doTERRA also believes that if an oil does not meet their rigorous standards then they will take it off the shelf until such time that they can produce the quality oil that meets those standards. 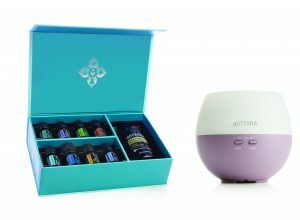 Aromatically – is simply putting a few drops into your diffuser and letting it disperse into the air. You can use certain oils to energize and uplift (such as Wild Orange, Peppermint) and others to calm and relax (Lavender, Serenity). You can also use them to purify the air and get rid of unwanted odors. Topically – simply by placing a drop on the skin. Essential oils are easily absorbed by the skin and can be safely applied topically on the body. Most essential oils can be applied neat (without a carrier oil) but it is recommended that you dilute with a carrier oil* when using oils that are considered hot or spicy – like Oregano, Cinnamon or if you have sensitive skin – and always dilute when using topically with children. *a carrier oil is any oil that you can use in your kitchen and ingest – so almond oil, avocado, grapeseed, fractionated coconut oil. To dilute use 1 tsp. of carrier oil to 1 drop of essential oil. Internally – Certain essential oils have a rich culinary history and can be used as dietary supplements for targeted wellness. They can also be used in cooking or a drop in your water for flavor as well as the health benefits. Not all kinds of essential oils can be taken internally, ensure that the kind you are choosing is ingestable as well as the brand is safe to ingest. 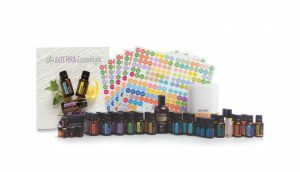 With your kit you’ll also receive Wholesale Pricing – 25% off retail, the opportunity to earn points towards free product and personal support from me, which includes opportunities to attend various classes and workshops to learn more about and play with your essential oils! 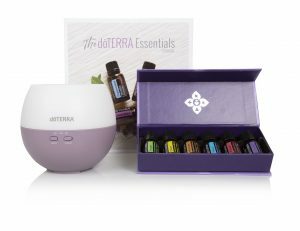 You’ll also receive a Lifestyle Overview, which is a personal consultation with me to help you get the most out of your new oils and your doTERRA membership, supporting you in the areas of your life that you need for yourself and your family. Place a 125 PV Monthly Order before April 15th and receive a complimentary 10 ml EasyAir touch. 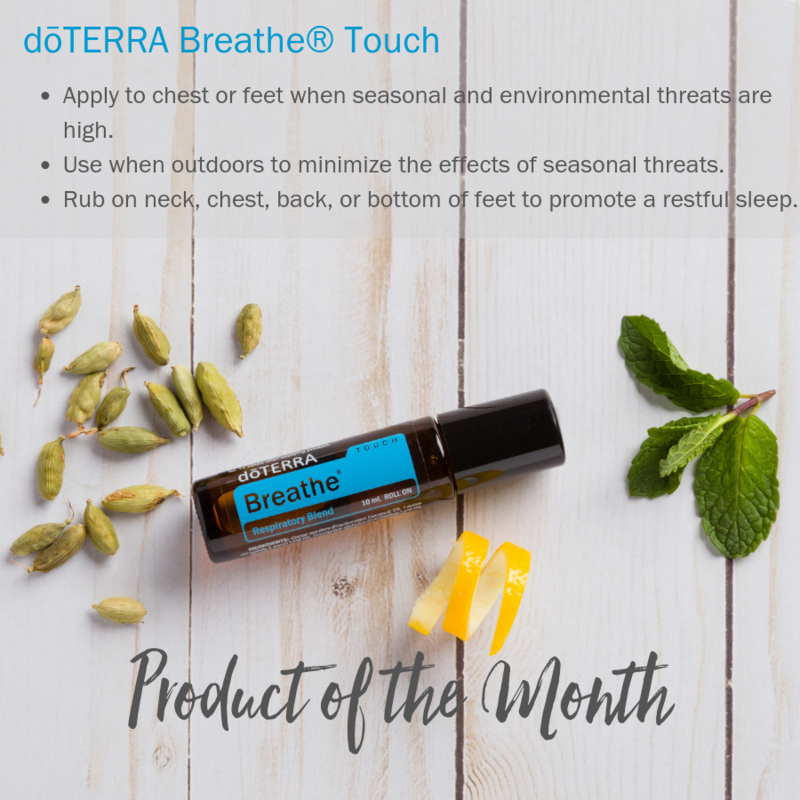 EasyAir/ Breathe touch provides the perfect balance of doTERRA EasyAir Respiratory Blend with Fractionated Coconut Oil to invigorate and clear your mind. 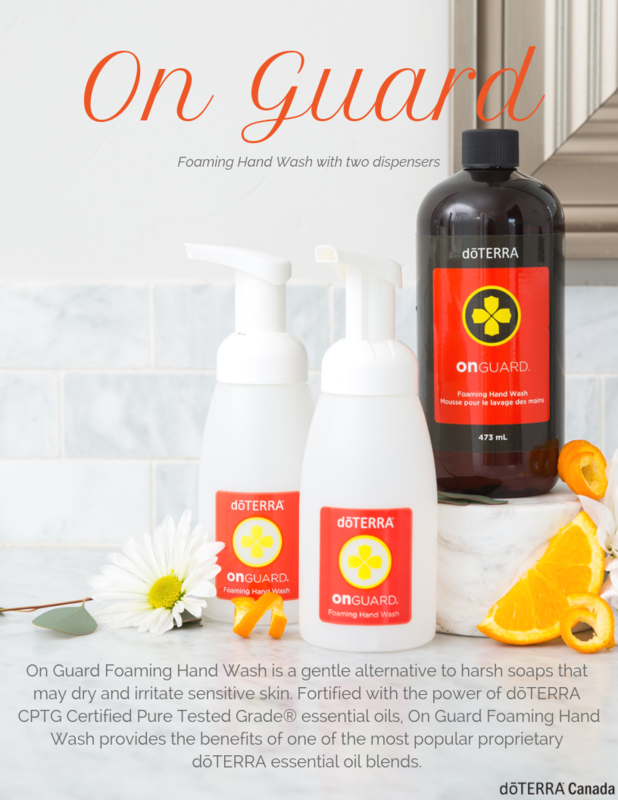 Keep your hands clean and protected with the power of OnGuard Foaming Hand Wash. Deep Blue is a soothing blend of eight essential oils that comfort and cool joints and muscles. Clear away the muck and find your way thru to the light to experience growth and renewal. (literally like the flower pushing through the dirt to break through to the surface and bloom). 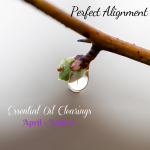 Bring that vibrant energy of awakening and newness to the forefront, getting you ready to be open to and embrace the new possibilities and experiences that come with fresh eyes and fresh clear energy. 3x the oils for less than 1/2 the price! Includes 5 ml Bottles of the Oils Used in the Aromatouch Treatment – designed to help you relax and heal. I’m Ready to Choose my Starter Kit!